For us, the customer relationship does not end on conclusion of business, but rather extends over the entire duration of use of our machines. 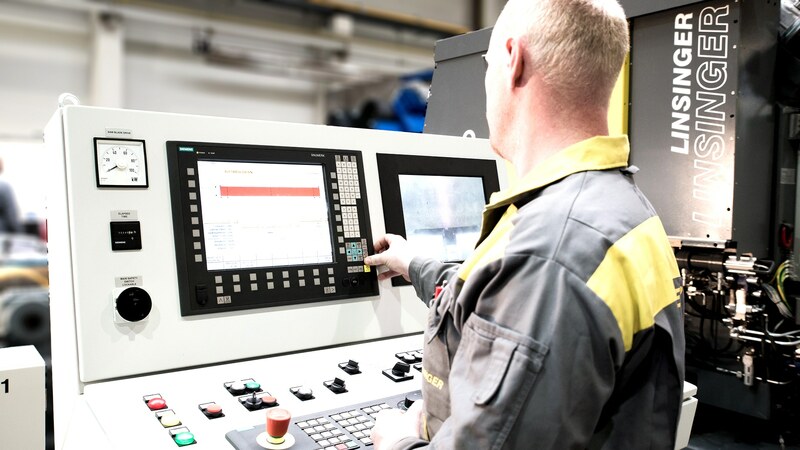 The high quality standards we place on our sawing and milling lines, as well as on our mobile and stationary solutions in rail technology also, of course, are reflected in the services offered by our Aftersales unit. Exclusive tools optimised for LINSINGER machines, well-founded consultation and short reaction times are our strengths. The LINSINGER Service Team provides worldwide (remote) maintenance, servicing and repairs for LINSINGER machines. Even during peak demand times, our highlymotivated Service Team attempts to process all malfunction and maintenance requests as rapidly as possible. Our optimally-trained Service Team ensures fast and reliable provision of original spare parts, perfectly aligned to LINSINGER machines.